2018 has been a big year for Citadel. As we celebrate our silver jubilee – twenty-five years of managing wealth and assisting our clients – we have also reached the R50 billion assets under management and advice mark. It is commendable that we’ve recorded this remarkable achievement during such a red-letter year, and there are a number of factors which have contributed to this success. A notable contributor has been the strong participation of our funds in the market along with our very high client retention rate and, on the back of those two factors, great inflows. Many people aren’t aware that up to 40% of our gross annual inflows come from our existing client base – clients who have been with us for longer than a 12-month period. This means that we continue to deliver on our promises and satisfy our existing client base. Our exceptional 97% client retention rate also speaks volumes about their satisfaction levels. The reason for this is simple: the whole business is focused and designed around clients and this is underpinned by our top-quality advice. We invest in both our staff and in our client relationships. During our 25-year history, we’ve been exceptionally focused on being recognised as the pre-eminent provider of wealth management services in South Africa and have achieved this simply by delivering the best wealth management experience in the country. 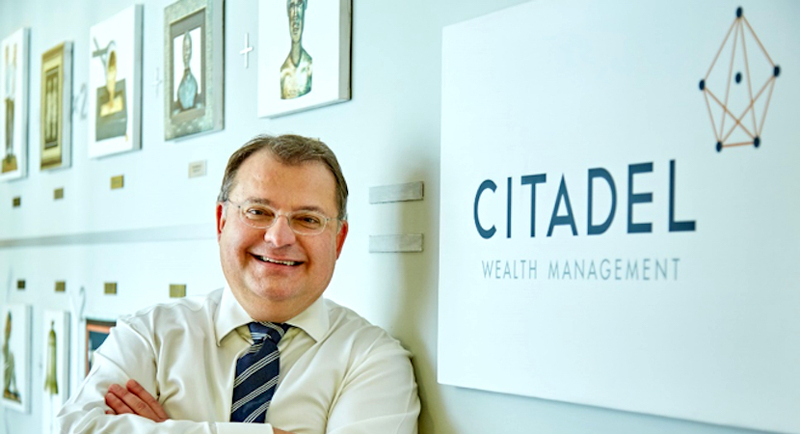 One of the defining characteristics of Citadel is that, 25 years later, we are still doing the same thing that we started out doing on day one – providing advice to our clients and partnering with them on their financial journeys. Fee-based advice was ground breaking at the time and set the scene for the emergence of a new discipline in the South African financial services industry, today commonly known as “wealth management”. We are proud to say we were pioneers in the introduction of fee-based advice, which has paved the way for other players in the industry to follow. We’ve remained focused to become experts in our field and we’ve solidified our offering. We continue to differentiate ourselves in terms of our long-term relationships, be advice led and remain focused on our clients’ interests. When we do adapt, change and grow, we do so with a constant focus on adding value. Bearing this in mind, we are therefore currently taking advantage of industry consolidation and looking to grow our business through the acquisition of independent financial advisors. Other initiatives that are gaining traction include our Employee Benefits offering, which is already starting to show healthy growth, and our Citadel Financial Protection business, a traditional risk business which is also starting to gain purchase. From a financial perspective the business is in a particularly healthy position. Citadel has enjoyed a good 2018 and we’ve been aided by picking up a few tailwinds. 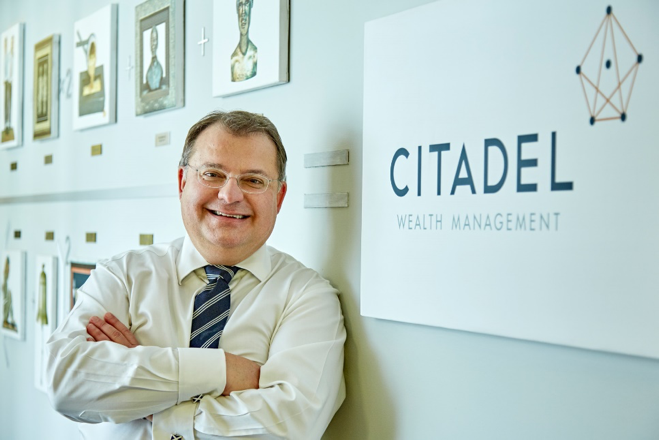 So at this particular stage, despite South Africa dipping into a recession in the first half of the year, our financial position combined with a solid ownership culture means that Citadel is well placed to continue its commanding role in the industry. Whilst much of this has to do with the maturing of previously employed business strategies over the past 25 years, as a business we are very mindful that we could not have done this without the loyalty and support of our clients and staff. I would thus like to conclude with a special and sincere thank you to both our clients and our staff for the contributions that they have made, and for the journey we have taken together. Here’s to the next 25 remarkable years. Andrew Möller is Director and Chief Executive Officer of Citadel.